You can stop right there; that's all I needed to hear. So, who wants to go to O'Hill brunch with me next weekend? I turned my switch in the ignition. My first thought: How long will it take for my car to heat up? My second thought: Who is this guy talking on the radio? My favorite radio station in Charlottesville has been TOM @ 107.5, a variety hits channel whose motto was, "We play anything, anytime." Apparently earlier this year, the owners decided to can the three-year-old music station and replace it with the most boring content possible: News Talk. Guess it's time to change my radio presets again. Any suggestions on good radio stations out there? Every episode of hypomania must come to an end, and I think that's what happened to me this morning. Maybe it's because getting four hours of sleep a night finally caught up to me. Maybe it's because despite temperatures in the 80s a week ago, I woke up this morning to find snow all over the ground. Maybe it's because I'm in withdrawal from seeing the same twelve people every waking hour for three weeks straight. Whatever the cause, I just wanted to sit around and do nothing all day. Nintendo to the rescue! 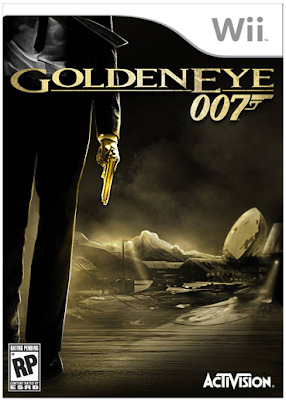 After we watched VCU epically crush Kansas this afternoon, Lee went out and bought Goldeneye for the Wii. If I fail the remainder of my Surgery rotation, I think we'll all know why. So, who's ready for three weeks of Transplant Surgery starting tomorrow? EDIT: This post has been edited by the author. Patient: Please stop bringing me melted ice; it's just making my mouth drier. Can you make sure I get a cup of water instead? You might say that I'm not the sharpest scalpel on the instruments table. Gauri, Grace, Riel, and I were at Fork in the Alley for lunch today when the waitress dropped an entire pizza belonging to the people sitting next to us. Never one to let good food go to waste, I immediately asked her if I could have it for free. Sure, some of it had landed face-down on the outdoor patio floor, but what bacteria could possibly be on it that I haven't already come in contact with at the hospital? Believe me, the dirt from the ground only added another layer to the rich tapestry of flavors. Dusty and delicious! While the rest of the world celebrated Saint Patty's Day, the surgical team at the Salem VAMC celebrated Saint Tuggy's Day. In case you didn't know, Saint Tugster is the patron saint of Salem, VA. He is attributed with driving all of the roundworms out of the veteran's hospital many years ago. To commemorate his achievements, we decorated the TUG robot that delivers medications with a spirited sign. Of course, we also rallied and took the party out to Corned Beef. It was fun to celebrate with our Medicine, Psychiatry, and Pediatrics colleagues who are working in Salem and Roanoke. However, it was not fun to wake up at 4:30 this morning to gather our patient's vital signs. And before I forget, congrats to the UVA School of Medicine Class of 2011 on your incredible match list. I only wish I could have been in C-ville to celebrate with you guys. But hanging out with Tuggy is an acceptable substitute. It turns out that Surgery at the Salem VAMC is really just a three week camp. We wake up and do a large group warm-up activity (morning rounds). We have a huge breakfast together. We break up into smaller groups and everybody does his or her assigned duty (operating room, minor office procedures, clinic visits). We come back together for a large group cool-down activity (afternoon rounds). We get dinner together at the Trough. We end the day with a social activity, and trust me, if there were a campfire here, we would all be huddled around it making s'mores and singing Kumbaya. But, since there's no campfire at the Salem VAMC, we have to make do with what we have. And what we have is the game of Operation. So in case you were wondering what surgeons do with their free time, it's playing pretend surgery. I used to love reading Harris' "Highlight of My Day (HOMD)." And today's HOMD? Hearing Kate say that we would round at 6:30am tomorrow instead of the usual 6:00am. There IS a God, and He DOES love me! I can't believe I've already had an entire week of surgery at Salem. Really, it just feels like one 120-hour day to me. And during those 120 hours, 75 of which were spent working, I've learned a few things. Most importantly, I've learned that teleportation does exist. In fact, our government has known about it for years but for some reason have decided to keep it from us. You see, the Salem VA Medical Center is one giant campus, with each building connected by underground tunnels and overhead passes. 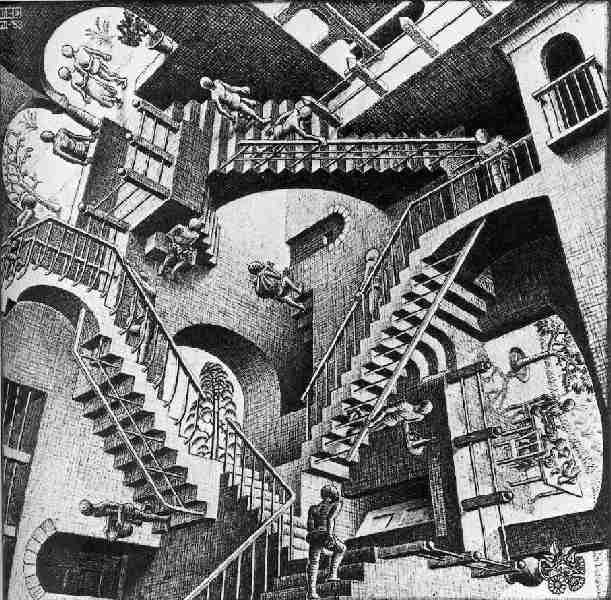 However, unlike normal building complexes like our own UVA Health System built based on a normal blueprint, the Salem VAMC is more like a real-life MC Escher drawing. More than once, I've walked through a doorway and end up in a different hallway on the floor of a building that I could have sworn was on the opposite side of the campus. The only reason I've survived this first week at all was with the help of the other students in my block. And with a group that has assigned itself nicknames from the NATO phonetic alphabet like Alfa, Golf, Romeo, Sierra, Tango, and Zulu, how could you possibly go wrong? EDIT: This note has been edited by the author. And that's because I just got back from the Hilltop. 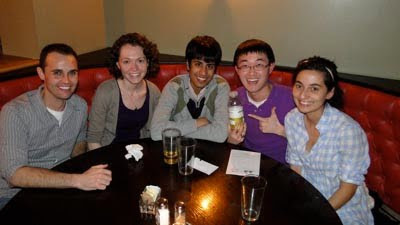 Instead of studying like normal medical students, Joseph, Liz, and I went out with two of our residents tonight. And after three games of pool and endless jams from the old-fashioned jukebox, I have to say it was the right choice to make. It's all fun and games (literally) until I remember that I have to wake up at 4am to pre-round on my patients. Sigh, literally the worst. Some of you may have been wondering where I've been for the past two days. I haven't been replying to e-mails, I haven't been playing any moves on Words with Friends, and I haven't been posting on my blog. Well, wonder no more! I have been putting my nose to the proverbial grindstone on my Surgery rotation. And this is why I'm about to have the sweetest, most luxurious sleep of my life, despite the fact that my bedroom on the converted Psych ward is 58°F. Ah, the endless comforts of living at the Salem VA Hospital. Every good thing must come to an end, including Trivia Week 2k11. I'm just pleased to see that what was once a dream actually became a reality: Nosheen and I played in three separate trivia games in one week. Our last competition was last night at Baja Bean, another event hosted by the guys from Geeks Who Drink. We improved significantly from our first showing, jumping from sixth place on Thursday to tied for third place on Saturday. In fact, you could say we were Bi-Winning... we won at McGrady's, and we won at Baja Bean (well, we placed). I've learned a lot of random trivia this week, but more importantly, I've learned what it's like to have an archnemesis. And that archnemesis is Axis of C-ville, a group of guys who are on a ridiculous winning streak at the Geeks Who Drink pub quizzes. They won both Thursday and Saturday, and my new goal in life is to take them down. Preferably in a battle of the minds, but I will resort to physical intimidation if I have to. I just filled out my 2010 tax return online, and at the end, it told me that my estimated federal tax refund was $1002. EXCUSE ME?? Too good to be true! And in fact, it was. Upon closer inspection, I realized that I did not qualify for the American Opportunity Credit because I graduated high school more than four years ago. And then my $1002 tax refund turned into a $2 tax refund. Sigh, worst. Sure, I may not be getting any money back from the government this year, but you know what's more important? Making it onto the official Geeks Who Drink blog! This discovery has only furthered my complete and total obsession with Trivia Night in its many forms. Yes, I love my Vitaminwater. And now I'm off to run some errands before beginning my daily quest for lulz. Any idea where I might find some tonight?? I've said it again and again and again. I've even come as close as second on numerous occasions. But tonight, I can finally claim that my team has won Trivia Night. Yes, I know, that is a ridiculous picture. But you have to understand that my team (dubbed "I'm not bisexual; I'm bi-winning," a tribute to Charlie Sheen's Good Morning America interview) was performing in synchrony the hand motions used to convey a rhinoceros' footsteps. *Yet another direct quote from the great and soon-to-be-late Charlie Sheen. Seriously, man, how do you do it?